Preferred Payment: Paypal, bank transfer or Cash. I am willing to do meet up around the Bay Area. Tickets are hard copy, I can show you the proof of purchases if needed. Teaster released 3 hours ago (about 12pm EST). Sounds like a pretty chill song. Here it is people! Big Bang’s official music video for Tonight! It just dropped a few hours ago. This one is different from the one that was aired on SBS Big Bang Show. It is similar, but different from the songs we have been doing until now. Right now, it’s 12:18pm on February 23 in South Korea. In 12 more hours, Big Bang will be making their big return to the K-pop scene. All the footage in this clip was filmed in Las Vegas, Nevada. I haven’t been to Las Vegas in a long time, but some areas in the teaser that I could remember going to. Most of the video were in various casinos. Hey VIPs! It’s JT (BBfan13) again. Being a dancer, I can’t let the hard work of Movement Lifestyle go unnoticed. Also, be sure to check out the ringtones page too so go check that out for ringtones from GD&TOP Vol 1 and VVIP! 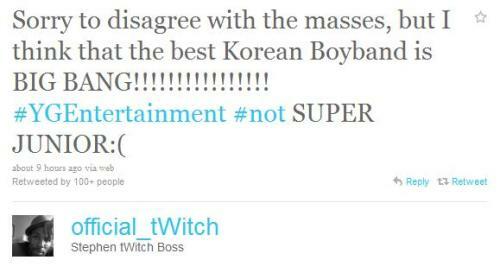 First of all, Big Bang has got some support from Twitch. He’s the choreographer that worked with BB in the early years, and the one who got Shaun Evaristo to choreograph for Big Bang. You can see him in some of the Se7en + GDYB trainee vids. So back in late January/early February, Shaun Evaristo was in South Korea with YG. 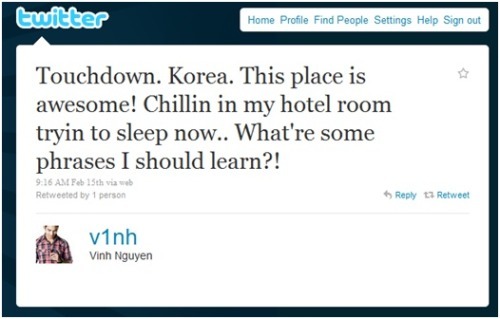 Even when Big Bang was here in the US (mostly Los Angeles, CA and Las Vegas, NV) to film the music video for their comeback, Shaun was in South Korea. Shaun had to come back to the US to teach a dance workshop on 2/13. 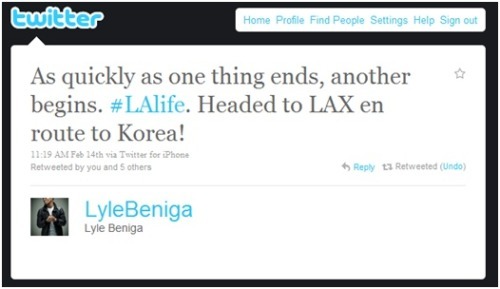 The next day, another mL choreographer, Lyle Beniga, headed off to South Korea along with newer mL artist, Vinh Nguyen. There is no confirmation that Lyle and Vinh are with YG Entertainment, but since they are both mL artists, and Shaun was just there, it is pretty safe to assume so. Also, if you keep up with Movement Lifestyle and their “Adventures with YG Entertainment” Youtube videoes, the YG artists learn the choreography the week of or days before they perform them. 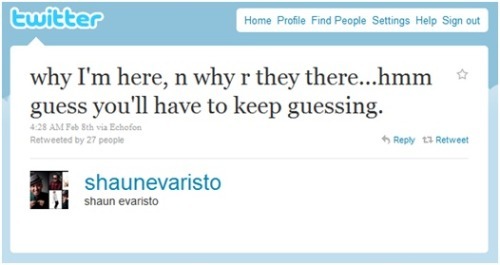 Since Big Bang is going to have their Big Show 2011 Concert this week, this further increases the possibility. With all that being said, you can assume that Big Bang’s comeback is going to be HUGE! Sup people! JT (BBfan13) here. I don’t have school today because of the snow storm so I finally have time to make a post. I updated the ringtones page too so go check that out for ringtones from GD&TOP Vol 1 and VVIP! As you all know, BIG BANG IS COMING BACK AFTER ALMOST 2 YEARS THIS THURSDAY!! SBS is airing a 1 hour special called “Big Bang Comeback Show” on February 27. The only other time SBS did this was for the legendary Seo Taiji. The mini-album is dropping in 3 days. YG released teasers of “Tonight” starting 2/19. You can also check out all the concept photos from the mini-album here on their official Facebook page! DaeSung’s teaser got released a few hours after I made the mix. POLL #1: Whose style of handwriting do you like best? Check here for the latest News & Important Site Updates on BIG BANG! Keep tabs on GAHO & BOSS, GDYB's doggies! CLICK HERE! SINGAPORE MEET #2: HEARTBREAKER THEME. Are you in? Anyone can join, just click the link. For all VIPz! JOIN THE NEXT BBFANSITE PROJECTS! Write letters & give thanks to BB through our IVIPTOWN! BRUNEI MEET DATE: JUNE 21st, 2009. Can YOU make it? BOSTON MEET DATE: TBD. Can YOU make it? A collection of video messages from VIPz to Big Bang!